Mitsubishi and Nissan are looking to pool technical underpinnings and production of future replacements for the Thai-built Nissan Navara and Mitsubishi Triton. GENEVA -- Mitsubishi Motors and its new parent Nissan are studying joint production of pickup trucks in Southeast Asia as they look for savings within the broader Renault-Nissan alliance. 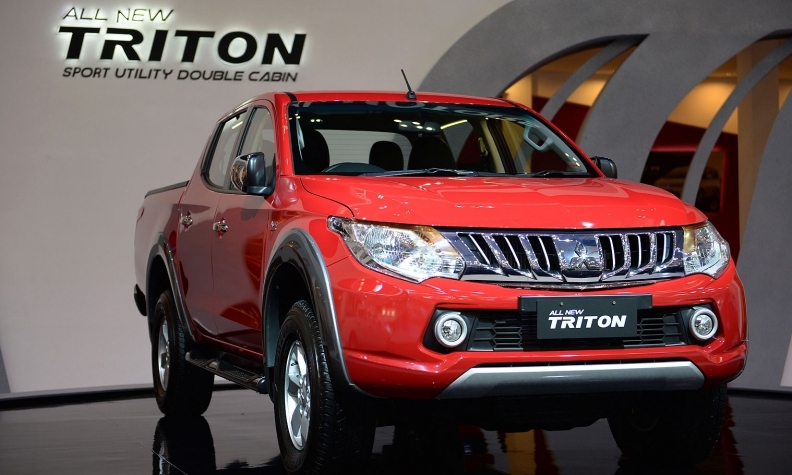 The Japanese groups may pool technical underpinnings and production of future replacements for the Thai-built Nissan Navara and Mitsubishi Triton, Mitsubishi COO Trevor Mann said in an interview at the Geneva auto show. Mitsubishi's pickup architectures are likely to become the basis for future alliance models, said Mann, who was dispatched by Nissan CEO Carlos Ghosn to help turn Mitsubishi around after Nissan paid $2.3 billion for a 34 percent controlling stake in the scandal-hit company last October. "If you look at our cost performance in that region, we are the benchmark within the alliance," Mann said. "Our four-by-four technology, our cost base on pickups is better than Nissan's." Nissan and Mitsubishi currently produce frame-based pickups and cars -- which have fundamental design and manufacturing differences -- on separate lines at each of their Thai plants. Moving to common architectures could potentially allow the Mitsubishi factory to specialise in pickups while the Nissan plant builds cars and SUVs, increasing productivity at both sites, Mann said, while stressing that nothing had been decided. The current Navara and Triton models were launched in 2014 and are not due for replacement before 2022, which means development and production decisions may still be two or more years away. Nissan and Mitsubishi are already pooling car transport and other logistics while stepping up efforts to find more savings from joint purchasing. Renault and Nissan, whose 18-year-old alliance is cemented by reciprocal minority shareholdings, are also likely to use Mitsubishi's plug-in hybrid technologies, Mann added. "That's an obvious opportunity." But Renault may have to wait longer than its alliance partner for the market access and savings that their new affiliate can bring. "What we have to do is prioritize," Mann said. "We have the capital share with Nissan, so it's logical to start there." Under Nissan ownership, Mitsubishi is still "cleaning house" in the wake of the fuel-economy data scandal, he added. "We're introducing a proper delegation of authority, risk control and business ethics in the company," Mann said. "If we did uncover anything (else) which was not correct, we would disclose in an appropriate manner."